Jianbing Bar use a website from Western Webs to provide an online presence. As a result, the website promotes Asian Street Food to Galway City residents and visitors. The Jianbing restaurant operates from a base at Quay Street in the heart of the Galway Latin Quarter. Jianbing food is a traditional Chinese street food created nearly 2000 years ago in the Shandong Province of China. Jianbing is a crispy crepe made with corn, mung bean, rye and buckwheat, plus it is flavoured with black and white sesame seeds for the distinctive taste. 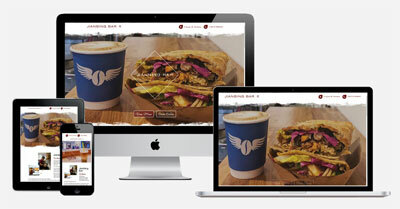 The Jianbing street food website is built on a WordPress platform and is also mobile responsive. In addition, it is optimised for fast loading performance and also uses an Irish hosting proider. Click to visit Jianbing Bar website.